I know I know I've been a bad blogger & its ages since I last posted. am so sorry but I've been busy with work and life in general. I hope all my fellow bloggers are ok and enjoying delicious food. both the making & of course the eating of ;) I recently made these delicious apple muffins after I found rather too many apples in my fruit basket. I used to love apple muffins, with cinnamon! Hi Dell! It was great to come online today and see your comment on my blog. Hope you are well. These apple muffins sound really great. I'll have to give em' a try! Are you alright??? Really worried about you Sweetie!! 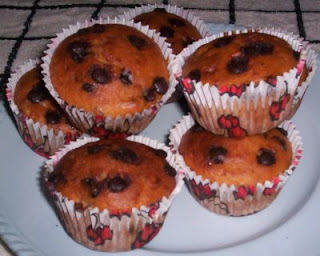 These look great, I love apple muffins!